Daniel Magariel is an author and writer from Kansas City. His debut novel, One of the Boys, published by Simon & Shuster, is a story about two young brothers contending with the love they have for their abusive father. It has received rave reviews across the globe, including a New York Times Book Review Editors' Choice and an Amazon Best Book of 2017. 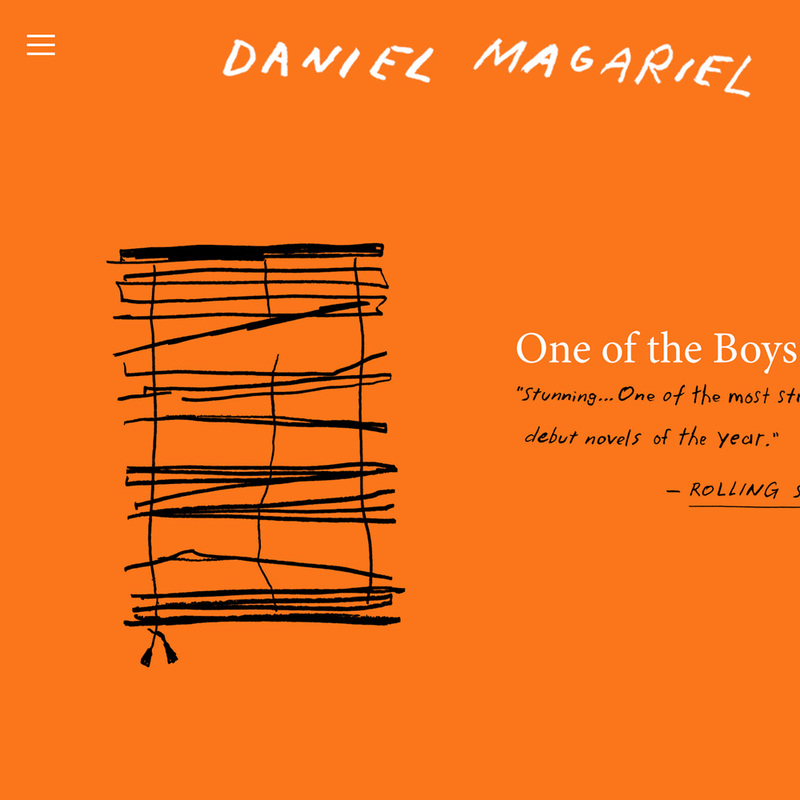 We created a website for Daniel that grew out of the spare visuals of the novel's cover art, which resonate well with his tight use of language. We wanted to create a site with some space. We also wanted to highlight the great press the book had received, as well as shining a light on the author himself.